In the next scene, a coach pulls a carton of milk from the slugger’s locker. At a recent showcase of Motivational Speakers I had the pleasure to meet speaker and health expert David Meinz. Darn this guy is cool! He speaks about how nutrition can help us not just with our weight and health, but with our quality of life. And then he ties it in with a quality business message about increaased productivity, etc. And besides, he is a really good guy. Why hire just ANY of the world’s thousands of motivational speakers when you can look just a tiny bit harder and get somebody who is as cool off the stage as they are on. David rocks. Now…. pass the cookies. https://www.bradmontgomery.com/wp-content/uploads/2018/11/logo-1-495x198-1-300x120.png 0 0 admin https://www.bradmontgomery.com/wp-content/uploads/2018/11/logo-1-495x198-1-300x120.png admin2005-11-25 10:54:552005-11-25 10:54:55Motivational Twinkies? One of Las Vegas, Nevada’s funny and humorous motivational speakers is John Kinde. Yup, he is funny; but best of all, he seems like a good guy. He has some great resources about humor techniques, speakers’ techniques, and other how-to infor that I think you’ll like. check him out at www.humorpower.com. https://www.bradmontgomery.com/wp-content/uploads/2018/11/logo-1-495x198-1-300x120.png 0 0 admin https://www.bradmontgomery.com/wp-content/uploads/2018/11/logo-1-495x198-1-300x120.png admin2005-11-22 11:27:512005-11-22 11:27:51Las Vegas Speakers: Love it! Don’t you think this would make you THE funniest house on the block? Humor in your family? Yup…. 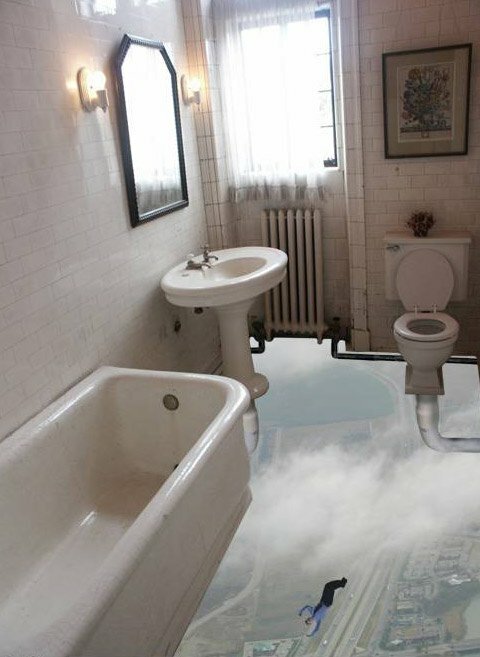 would be hard to be mad and stressed when you are in this bathroom? Don’t you think?